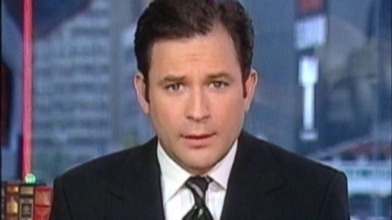 After an on-air panic attack, ABC's Dan Harris discovered meditation to become happier. 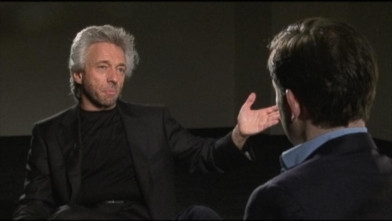 Discovering their power is a powerful thing you just -- -- harris' report about his journey to -- -- mind and improve his life through meditation now earlier I sat down with Dan on the -- that I asked him how he made his transition to meditation. I wife gave me a book and it was about buddhism and I -- but that is -- thing. And it did seem to have the diagnosis of the human condition that I thought sounded right that we at this racing mind always wanting commenting judging consider -- that are. But it said that the antidote was meditation I thought that's completely -- except it's gotta -- time he's not going not not -- just that I -- associated with you know. Incense and and random Malarkey that I was not -- get involved with. So how many minutes a day do you think somebody could benefit from meditation you needed now -- if not five minutes now. Five minutes I tell -- start with five minutes tell yourself you're never gonna do more. Five minutes you'll start immediately developing a different relationship without voice in your head. You'll you'll be doing battle waited for five minutes it's like holding a -- -- your hands. All of a sudden when it starts telling you to do crazy things you might some percentage of the time. Give it a reaganesque. There you go again and not take the -- And that's -- superpower. Real quick any advice for the beginner -- Find simple instructions -- -- available all over the place -- on this meditation you can get on abcnews.com. I have a three step rain -- for happiness on there. Do it five minutes and it's the daily -- that matters. Do it every day and again you'll develop -- different relationship with the voices now really inspiring great luck with the book to and I appreciate him. 'Nightline,' 'GMA Weekend' co-anchor on that defeatist voice in your head. Part 1: How an on-air panic attack led ABC's Dan Harris to dive into America's self-help subculture. ABC's Dan Harris explains the benefits of meditation and how the relatively simple activity can affect your life. 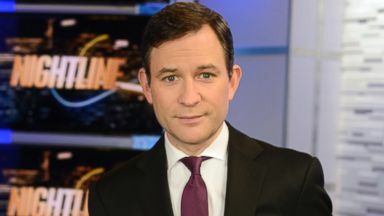 ABC News' Dan Harris shares his personal search for happiness in his new book. 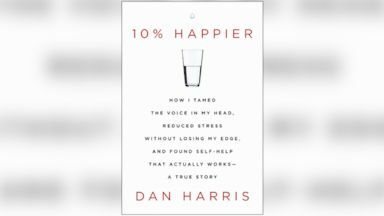 ABC's Dan Harris shares his journey to becoming "10% Happier." ABC News' Dan Harris tells you all about his search for a better outlook in his new book, "10% Happier."